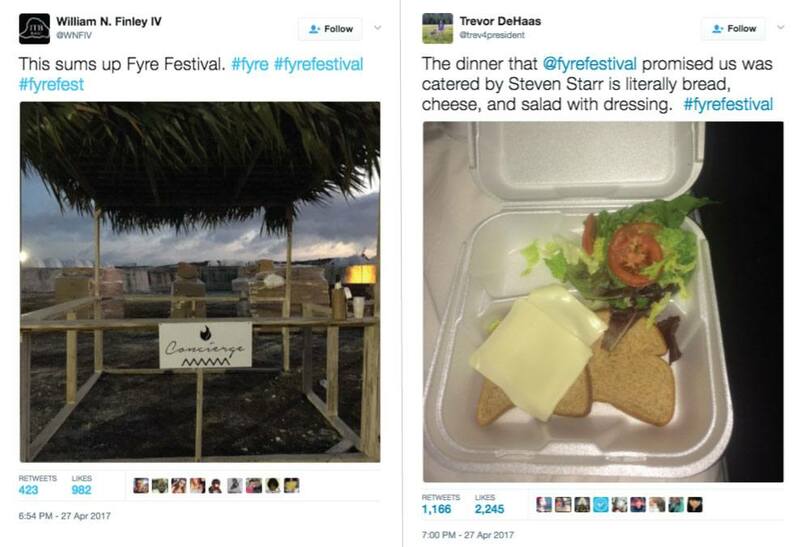 After watching the FYRE documentary on Netflix and reading the various articles and comments on social media since the release, the JustSeventy office was left completely bewildered as to how the festival was allowed to launch in such dire straits. For those who may not have caught the documentary yet, the premise behind the FYRE festival was a music festival designed to promote a new booking app, FYRE Music, which would match people with their talent requirements. 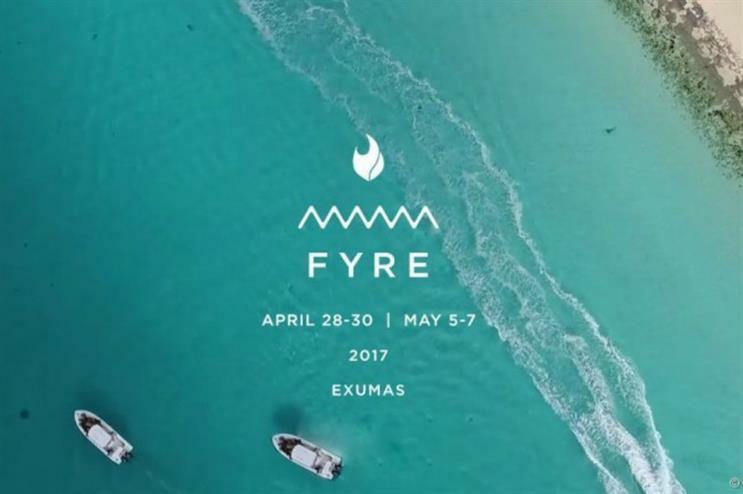 FYRE Festival should have taken place on the private Bahamian Island of Great Exuma across two weekends in April / May 2017. 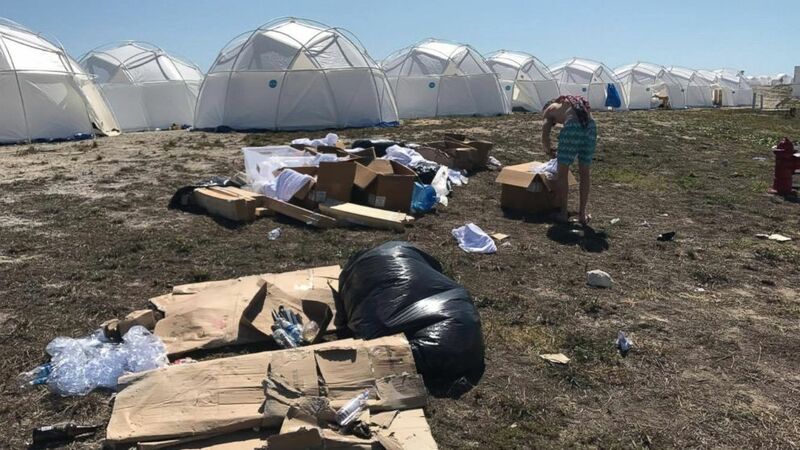 (Lee/Prahl/Splash News, FILE) A general view from the Fyre Festival in the Bahamas shows a trashy campsite with temporary shelters, April 28, 2017. In the words of the festival’s founder, Billy McFarland, on the launch day “we have what will be known as the best co-ordinated social influencer campaign ever”. 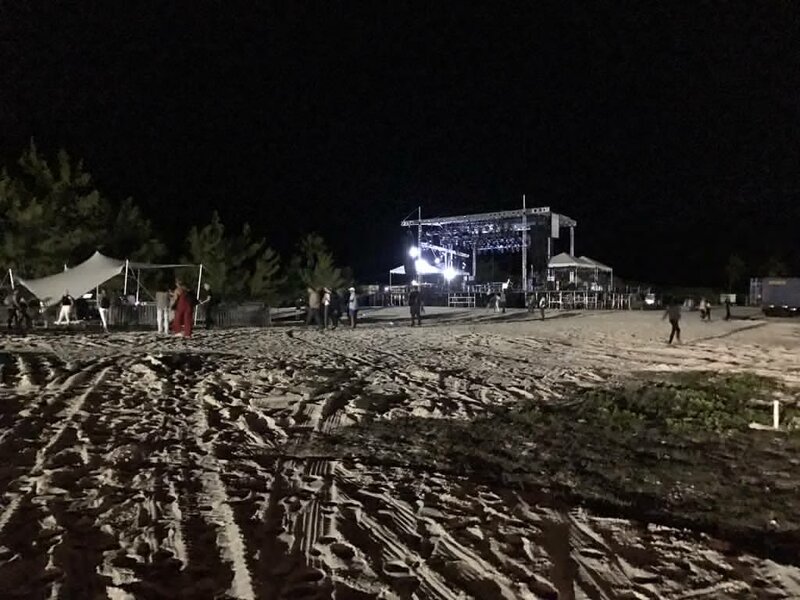 Surely it was at this point, selling a dream on social media about a festival on a remote island in the Bahamas, with no basic planning in place, or previous experience of ever having run a festival, begs the question was Billy McFarland an idiot and what expertise did the people surrounding Billy have? When planning any event you have to start from the ground up. You need to make sure you have the basic provisions in place. The first being a location that can support the amount of guests you have attending, as well as all the staff that you need to deliver the event. Never underestimate how many crew you will need to deliver the build of the event, let alone the event itself. In this example working on a remote island, have you got clean running water, sanitation, healthcare, power, communication, accommodation as a starting point? Once you know you have the basics in place, you need to design the event and at least produce an indicative budget to understand what it will cost and in this case, how many tickets you may need to sell. 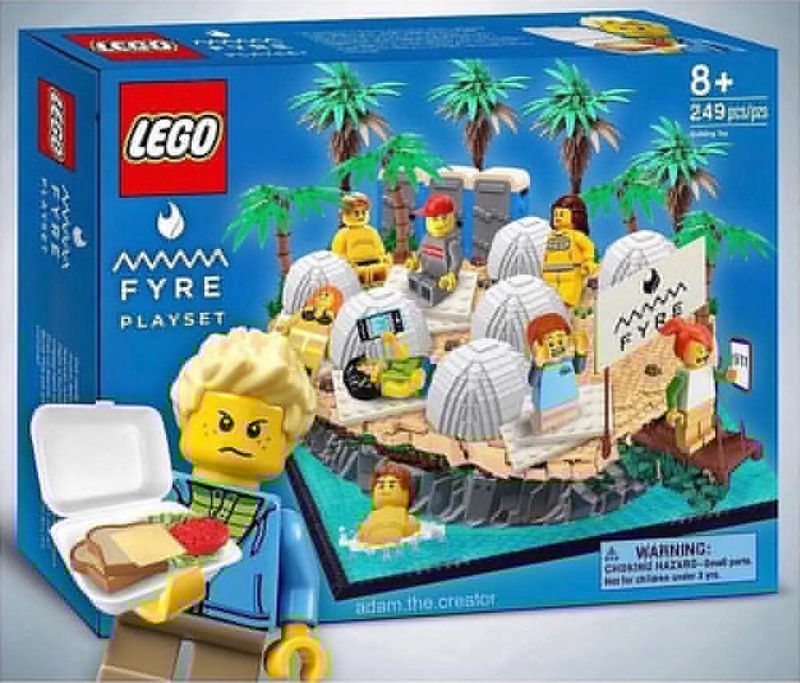 The problem with FYRE was they sold the event without knowing what they needed to break even, or what it may even cost them. For an event of this scale with various unknowns, allowing a contingency budget would have been wise (rather than spent on the Maserati and penthouse apartment, which Mr McFarland did without a care to the consequences! ), especially when planning with such a short lead time. Key suppliers need to attend site surveys to ensure they can deliver what is required before the client contracts (and ideally not spend the entire time just getting drunk and riding jet skis). Detailed plans need to be drawn to work out what actually fits in order to get accurate quotes from suppliers. To deliver any event to a high premium level, key suppliers need to be secured and deposited ideally 6-12 months out. FYRE had not even contracted its production company at 45 days out. Alongside the production are the riders for all your artists. The riders range from the sound and lighting, through to dressing rooms and accommodation. Riders cost money and take time to collate and should not be underestimated as to how much human resource it takes to pull this together for an event, before you even go on to stage a festival on an island. The artists can even pull the contract if the riders are not executed as expected. When working on large scale events you need to ensure you have key department managers, who have had previous experience managing events and suppliers on this scale. It was apparent in the FYRE documentary many of the key team members were way out their depth, no one wanted to say “No” (or if they did express the sentiment, they were fired) and subsequently the cracks started to appear. When working abroad it is important to have local fixers on the ground. They can help with issues at customs (without needing to do special “favours” in exchange), as otherwise items can be delayed when entering the country, which could in turn delay the build of your event. They also have knowledge of what is on the island if you have forgotten to bring it with you. A local linguist is key as often, not all local staff will speak English. Depending on the location of your event, visas and work permits may be required. These take time and usually cost money to get – fast tracking the process will also increase the cost usually. Any event on this scale, especially one on a remote island, should consider the carbon footprint. There should be a plan in place to recycle materials after the event. Better still if you can donate items to a local school or charity the locals appreciate this greatly and can offset accordingly. On any site where an event is held, the organiser has a duty of care owed for the staff working and the guests attending. You need to consider any emergencies, alongside legal requirements. Risk assessments need to be undertaken and a careful approach must be taken (and people should definitely not be working through the night with no breaks). When working in remote locations, medical help may not be in close proximity, in which case you need on site medical professionals on call. Security must not be underestimated to keep guests and crew safe and especially when managing large crowds. They will ensure a safe site and minimise any health and safety breaches. JustSeventy works with a health and safety consultant on every event to mitigate risk and manage these aspects for our clients. Take advice from your department managers, who understand what challenges they are facing with regards to deadlines, sourcing issues and whether they have enough personnel to deliver the event. The longer you have to plan, the more you can achieve. Weather is a key factor if you are looking to host some of the event outdoors. This can be unpredictable, and you need to plan for all eventualities from sunshine to rain. 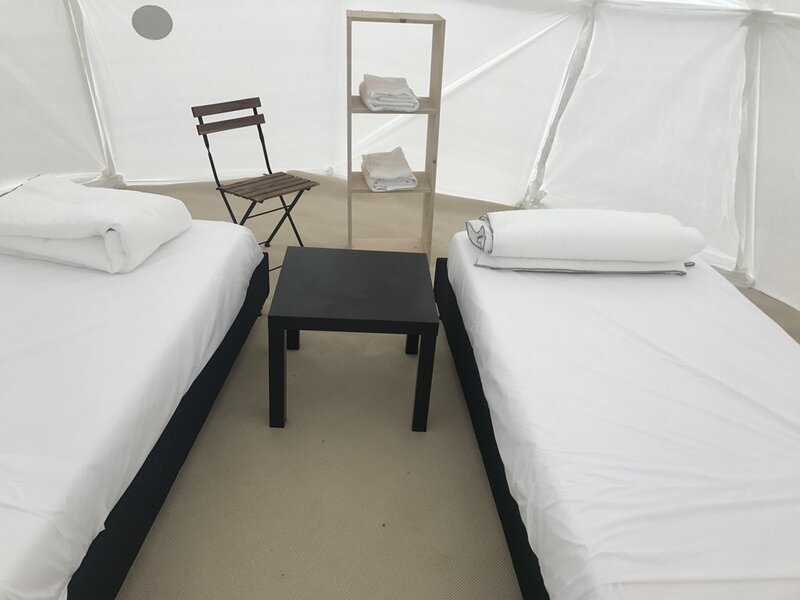 In summary all the above points mentioned are key areas that when we plan any event at JustSeventy on a similar scale we consider and plan appropriately to avoid the chaos that soon followed when the FYRE festival opened its gates to paying customers. Which reminds us of an international event we planned once, where the cruise ship had a fire 5 days before we were going to set sail… needless to say we found a great solution for our client. We will save that story for another blog!